Do you recognize that when people give for the first time, they are making a spiritual decision, not a financial one? People, moved by the Holy Spirit, have made the decision to trust God with what the world worships most – money and possessions. This is a monumental moment in their relationship with Jesus, and a massive next step of obedience on their spiritual journey of generosity. So, we believe all churches should have systems in place that celebrate this. But what happens when someone gives to your church for the first time? If you have a great first-time giver system in place, well done. If not, we want to give you three tips that can help you implement one as soon as possible. Create a reporting system that notifies you, or another pastor or staff member, every time someone gives for the first time. Have a standardized follow-up process, i.e., assign different pastors or staff members to send a handwritten letter celebrating a person’s gift, thanking them for their generosity, and tying it back to the advancement of the church’s mission and vision. Send them a small gift. This is a great way to show people you want something FOR them, not FROM them. In order to effectively disciple your people in the area of their finances you must implement standardized systems of follow-up that celebrate when people give for the first time and educate them as to WHY their giving matters. 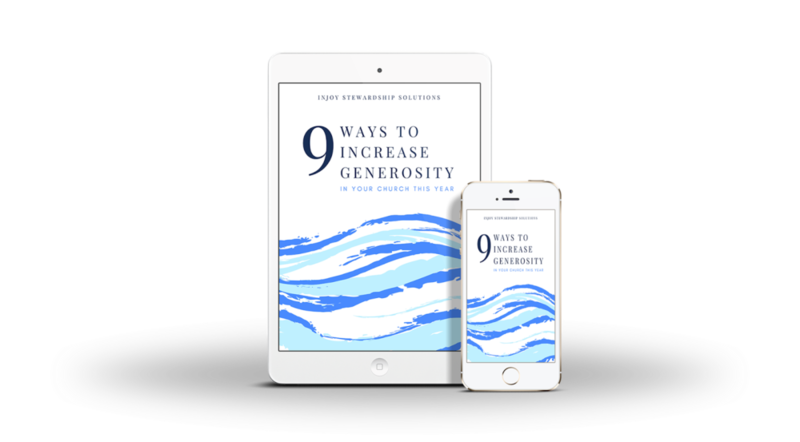 A first-time giver system is just one of the nine systems of generosity we advise you to implement in our eBook, Nine Ways to Increase Generosity In Your Church This Year. To learn all nine, download the eBook today!